Miss Pierce was born in Humphrey in 1880. She graduated from Allegany High School in 1900, and later graduated from Alfred University as a teacher. She first taught in Hornell and later in Herkimer and Gloversville. She then became associated with the biology department of the Paterson, N.J. high school and continued there until her retirement from teaching in 1942. She then returned to Allegany and began another career in community service. She was the first woman ever elected to the Allegany Board of Education, and served from 1953 to 1963. 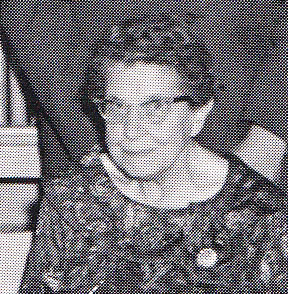 She was the first official historian of Cattaraugus County, having been appointed in 1953 by the County Board of Supervisors, and served until her death in 1964. She also served as Village Historian as well as Town Historian. She also served as the City of Olean Historian for a brief period, succeeding Miss Maud Brooks. She died on April 2, 1964 at the age of 83.